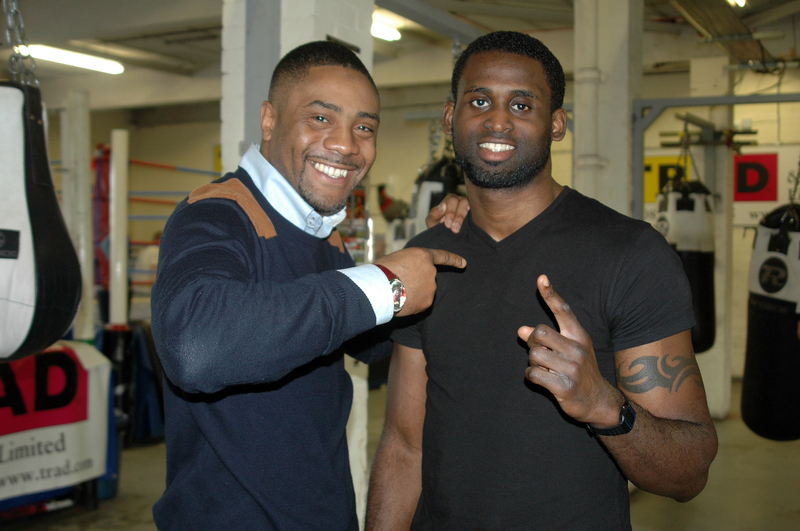 They don’t call promoter Spencer Fearon 'Mr Boxing' for nothing, the man who boxed under the name ‘The Spirit’ has turned the London Boxing scene on it’s head, since making the move to promoting, and in the process his Hard Knocks Boxing Promotions organisation has rightfully earned the reputation of putting on the best shows in the Capital, bar none. Why you may ask? Well the answer is simple, the fans are treated to genuine 50/50 fights between the most heavily avoided fighters in the land, and beyond. The result is virtually every fight on every show becomes an instant all ‘Fight of the Year’ contender. Take his last show, at the York Hall in Bethnal Green back in October last year, there were five barn storming fights, in fact every fight was top class so it really is hard to know which fight to highlight. It could so easily be Choi Tseveenpurev out and out war with Janis Puksins, mind you it only took Choi four minutes and forty six seconds to dispatch the young upstart, or it could be the feisty all action British Masters title rematch between Darren Hamilton and Dave Ryan. Then again Nathan Graham’s firestorm win over Aleksandrs Radjuks was something special as was Kreshnik Qato’s bruising battle with Terry Carruthers but for this I’ve decided to go with the sensational Simon O'Donnell versus Ty Mitchell bout. The fight started out with Derby’s Mitchell taking the fight to the ultra slick O’Donnell, pitter-pattering his way in with his superb jab before unloading big right hands with great effect, so much so that O’Donnell was sent to the canvas midway through the first round. Round two see the pair go on full out attack, Mitchell dropping his hands in an attempt to out speed the super fast forward coming O’Donnell. Round three was more of the same but the turning point came about midway through the third, when O’Donnell landed a pair of massive right hands, the last sending Mitchell’s gumshield into orbit. That was it then, O’Donnell had the mark of his man and he wasn’t going to let him off lightly, constantly letting rip with big rights and vicious left hooks at every opportunity in the fourth and fifth rounds. Whilst still looking to land the big shots in the sixth, O’Donnell turned to his slick jabbing until the opening came and he fired off a massive right hand left hook combination that sent the Midlander crashing down and out to the canvas, Mitchell did get to his feet but was clearly in no state to continue. Spencer’s next offering, Shamrock Showdown II, at The Troxy in Limehouse, London this coming Friday (23rd March), is clearly going to offer those lucky enough to score a ticket more of the same fare. For a start Simon O’Donnell will be back in action, as will Hard Knocks stalwarts Darren Hamilton and Nathan Graham. Heading up the show will see the Mongolian Warrior himself, Choi, taking on Bastien Rozeaux for the WBC International Silver title. Choi is a supreme knockout artist, but in Rozeaux he may have met his equal, as the Frenchman has an eighty percent knockout record, so expect an all out war with an early finish. For ‘SHAMROCK SHOWDOWN II’ Spencer will be showcasing three of his latest signings. First up is the former IBF Youth and British Featherweight Champion Martin Lindsay. Lindsay, whose record stands at 17-1, has been out of the ring since losing his British title, to John Simpson back in December 2010, and will surely be looking to impress in order to get back into Championship contention once again. SHAMROCK SHOWDOWN II also features the debut of Spencer’s protégé Larry ‘The Natural’ Ekundayo, whom Mr Boxing describes as æseriously special, so read that as this kid is exceptional and a star of the future. The final new signing on the show is TRAD TKO Boxing Gym’s Dutch Cruiserweight sensation Mitchell Balker, who takes on unbeaten Leed’s hardman Phil ‘China’ Clarke. Now those of you who do not know Balker are in for a treat. As an amateur this kid traveled to New York on his own to take part in, and win, the prestigious Golden Gloves at the famous Madison Square Gardens. After winning his first three pro bout Balker then relocated to London to be managed and trained by the esteemed Johnny Eames. In his first UK fight he took on top British cruiserweight Matty Askin, which he lost in a rather controversial manner, after the referee stepped in to stop the fight midway through an exchange that clearly hurt Hatton’s prospect and give the decision in favour of Askin. Balker bounced straight back with a great shutout victory over Nick Okoth before facing world ranked knockout artist Richard Turba on yet another Hatton show, this time Balker made sure that Turba wouldn’t get any home advantage, even after visiting the canvas in the second, by dominating every single round in magnificent style to take a close 57-56 points victory. That was a seriously big win, one which rocketed the Dutchman into the World top fifty, however it also sent him the top of the domestic ‘Fighter’s to Avoid’ list and it became almost impossible to get him any more fights in the UK, that is until Spencer took him into the Hard Knocks fold. He’s a good fighter, he has the potential to be a great fighter if he’s given the opportunity. He’s an exciting fighter and this will be a highly exciting fight over six rounds. He’s sold a lot of tickets, which is surprising as heÆs from the Netherlands, so he’s going to come out and impress his supporters. He’s gonna do his job and he’s in for a good fight, this other kid’s a good fighter, fair play to Mark Gateson, he brings his boys together and they come to win, they don’t come to make up the numbers and Phil Clarke’s got a good pedigree, he’s unbeaten in seven. Mitchell’s in great, great shape and It’s going to be a great, great fight, I’m looking forward to it. Anyone that comes to the show or subscribe to Premier Sports are set for a fantastic evening of Boxing. I put on proper fights, our shows are full of exciting fights and this one is no different, it don’t matter if our fighters win or not I just want the best fights and that means ones that are evenly matched and either fighter can win. Get there, get there, just go to the TKO website and buy tickets and get ready for the best show in town, it’ll be incredible – I’m living the dream, Hard Knocks for life. Limited amount of tickets still available, priced ú35 on-line at www.tkoboxoffice.com or in person at the TRAD TKO Boxing Gym, Gillian House, Stephenson Street, Canning Town, London E16 4SA.